I have a bad habit of checking social media first thing in the morning, which I know can really set the day off on the wrong foot. This morning, I woke up to see a post from a veterinarian friend that she had two veterinarians in her life commit suicide this week. As I read the many responses, one stood out to me above all the messages of condolences: “What can we as a community do?” This was not from a fellow veterinarian. This question came from a client, a neighbor, a friend. But as that one response showed me, there are people asking to understand. There are people who want to help. We need to let them in — to share with them the good, the bad, and the ugly of our daily lives as veterinarians. 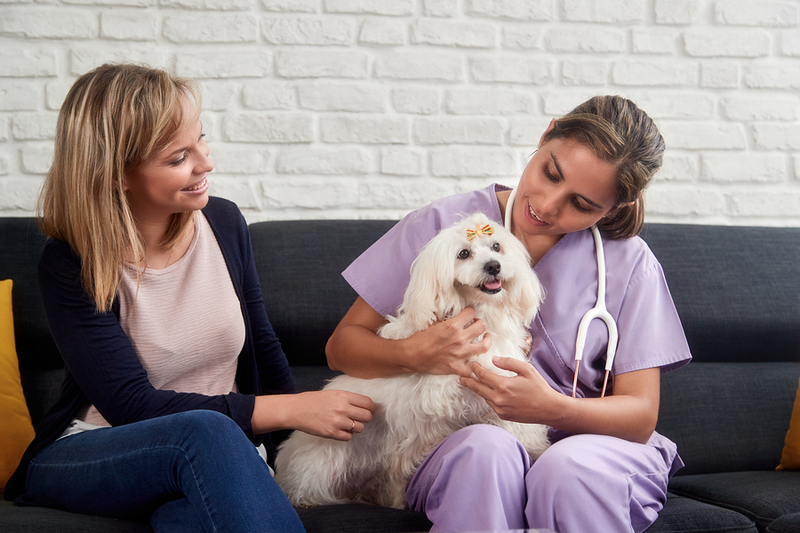 Yes, there are some things that can never be understood by someone who doesn’t work in the field, but if we as a veterinary profession continue to be open, we will expand our community to include the clients who care deeply about us. 1. Social Media: Think before you respond. I also woke up to a text message from a veterinary technician friend asking my opinion of a recent viral social media post about alleged negligence on the part of a veterinarian. Sadly, many times, these two situations are linked—a viral social media post condemning and vilifying the veterinarian involved and the end of that veterinarian’s life. I’m not saying there aren’t veterinarians who make mistakes and try to cover them up or even at times do things maliciously, but they are the minority. Yes, veterinarians make mistakes — we are human. Sometimes, no matter how hard we try, those mistakes result in the loss of a beloved family member. But vicious attacks against the person who made that mistake won’t bring that pet back and may just result in the loss of another life. 2. Dilute the negative reviews. In vet school, we are taught that “the solution to pollution is dilution,” when learning how to manage infected wounds. In essence, flush out all the bad stuff with even more good stuff. This lesson gives the clients and friends who love us a chance to actively do something to help. Have you had a good experience with your veterinarian? Was there a technician or other staff member who went above and beyond for you and your pet? Tell the world about it! Take a few minutes to write a positive review on your veterinarian’s website or Facebook page. Be specific and use staff names if you remember them. Doing this will not only help to overshadow the inevitable bad reviews, it will give the veterinary team something to look back on when times are tough. I have a box of all the thank you cards I have received in my nearly six years of practice. I treasure each one and review them from time to time when I’m having a really bad day. I receive many verbal thanks and hugs after successful treatment of a sick patient or the peaceful passing of a beloved pet through euthanasia, but having a written note, something to physically hold on to, in the midst of a bad day makes a difference. Consider sending a special technician or receptionist a note as well, or mention them by name in a card to the clinic. They receive even less thanks for their hard work than we do, and we could not do our jobs without them. So, I invite you, my non-veterinary friends, to become a part of the veterinary community at large and help support us so that we can continue to love and care for your pets and you. And please, keep asking us what you can do to help. 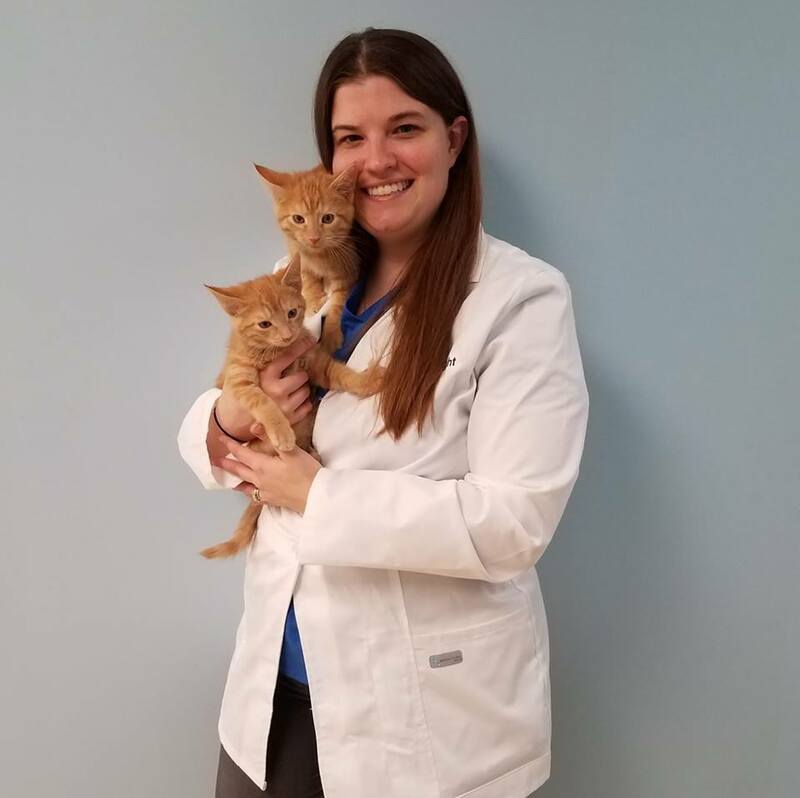 Dr. Kate Boatright, a 2013 graduate of the University of Pennsylvania, is an associate veterinarian in western Pennsylvania. She practices small animal general practice and emergency medicine with special interests in surgery, internal medicine and feline medicine. She is actively involved in her state and local veterinary medical associations and is a founding member of the VBMA Alumni. She is passionate about the veterinary profession and enjoys educating both members of the profession, students, and clients through writing and speaking.